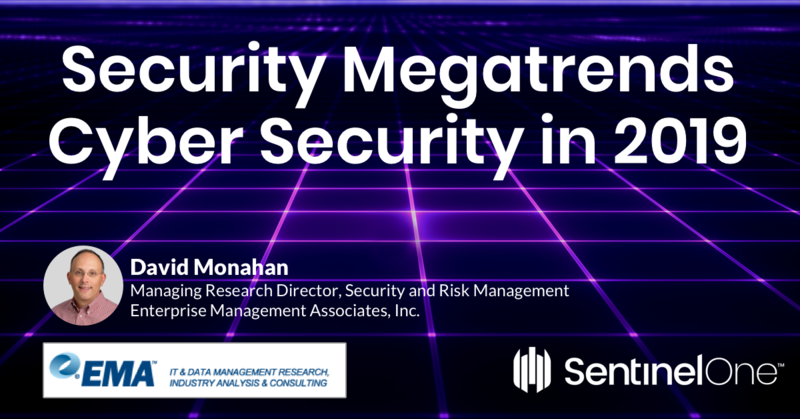 Security Megatrends 2019 is a comprehensive, SentinelOne-sponsored report covering security issues and challenges facing organizations of all sizes and industry verticals today. The report looks across SMBs, midmarkets, and enterprises as well as multiple industry verticals to understand the commonalities and divergence in trends. Ultimately, the report will help readers understand how to handle threats better, no matter where they stand now.